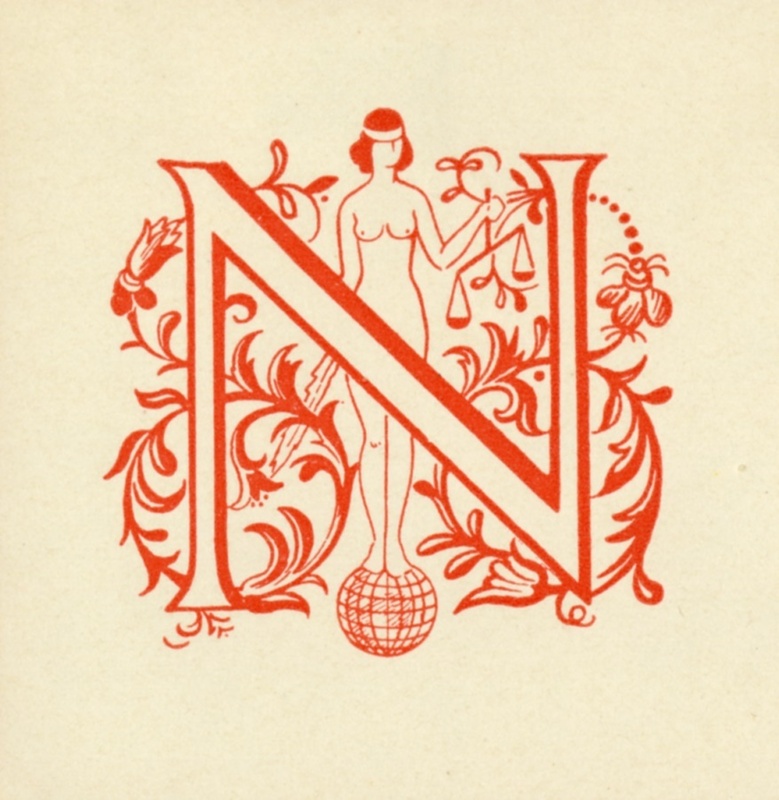 Pictorial/typographic-style, personal bookplate featuring a monogram of the letter N for owner’s last name which is intertwined with scrollwork and a female figure in background. ~ Unknown, “Dr. 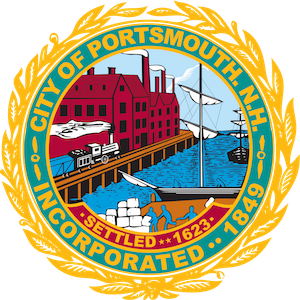 Hans Nissl,” Portsmouth Public Library's Online Archives, accessed April 21, 2019, http://portsmouthexhibits.org/items/show/1699. 2 and ½”H x 2 and ½”W.